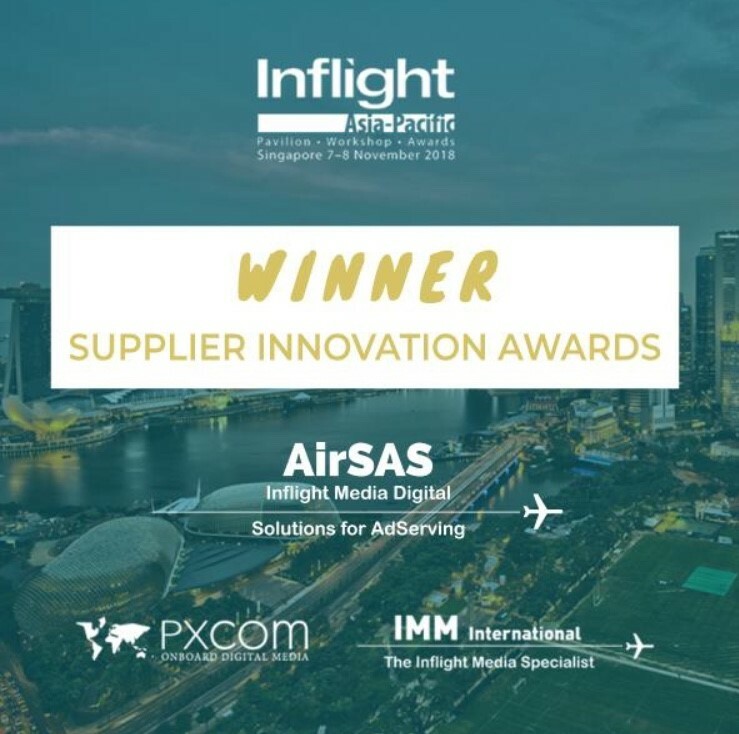 IMM Digital brought off the award as "Supplier Innovation" of the year from Inflight Asia-Pacific awards ceremony that look place last October in Singapore. The new award in 2018 honour the most revolutionary IFEC or cabin technology development, which IMM DIGITAL has developed the Ad serving Solution AIRSAS achievements. Inflight Asia-pacific organizes a major forum in Singapore focused on cabin interiors latest technology in region Asia Pacific. The event offers a dedicated area of the exhibition floor. Which exclusively reserved for exhibitors specialising in inflight entertainment, connectivity or cabin interior technology. Inflight Asia-pacific event also created a series of dedicated awards. It aims at recognizing great regional achievements from companies offering entertainment and connectivity services onboard. The yearly event is one of the key opportunity to discuss more strategically the connectivty technology. It can bring for the airline in the future to engage more with the passengers. IMM Digital is very proud and garteful to get such a honor and recognition with the new award from this event. AIRSAS is a digital revenue enabler for airlines and publishers alike. But to be even more concrete, it provides digital formats like banners, integrated compaigns and interstitials to brands. Thus, advertisers can serve their ad compaigns on all onboard connected devices used by air passengers while flying. Advertisers can also address their ads to specific audiences by age, gender, nationality, destination, ans etc. AIRSAS is the only independant propietary technology to serve the right ad units to various air traveling audiences: business, passengers, tourists… The airsas technology allows us to choose, preview, and monitor the compaign with real-time follow-up of the rating campaign. it is an easy ad serving platform to adserve, the first and only independant advertising server that connect to numerous airlines. AIRSAS is compliant with all existing IFE platforms, wireless and back seat TV, Android-based IFE and custom solutions such as AirFi, Bluebox, Vision Systems, Rokki… The technology of AirSAS has been co-developed by PXCom with its simplicity in digital area.